We have 5 paperback copies of Cut the crap and Feel Amazing by Ailsa Frank Published by Hay House for our UK readers to win in our February Book Giveaway. 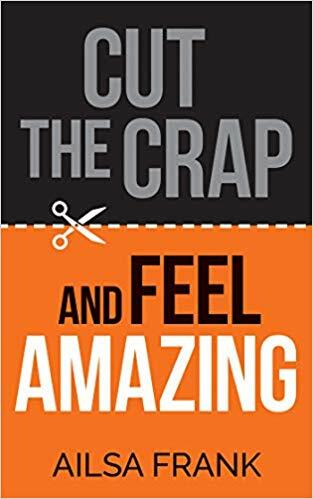 Cut the Crap and Feel Amazing helps improve each area of your life including money, relationships, finding love, getting over heartbreak. Have you ever felt stuck or unmotivated about life? Are there things you want to do or dreams you want to achieve, but you don't know how to get started or how to reach your goals? In Cut the Crap and Feel Amazing, experienced hypnotherapist Ailsa Frank provides you with the knowledge and tools you need to take control of your life and ensure that it follows a more positive direction - the direction in which you want it to go. The techniques described in this book will help you to cut out the negative habits in your life and make improvements where they are needed - work, relationships, health, finance, finding love and more. Making regular small changes to your mindset will enable you to make bigger changes in your life. You don't need to know your whole life plan, you just need to focus on one small thing to get yourself started. Cut the Crap and Feel Amazing offers a helping hand to get you on track and keep your life moving forwards in a positive direction.